The song 'Lila' from Merrell's legendary album Fapardokly is featured in the soundtrack of the film 'Chappaquiddick'. 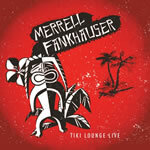 For a number of years Merrell has been producing a much-loved TV variety show “The Tiki Lounge.” Now, fans can discover the magic Fankhauser creates with this live concert album, Tiki Lounge Live, set to be released on 12 January 2018 via Goldenlane Records. Enjoy performances by Fankhauser as well as special guests Ed Cassidy of Spirit (his last ever recording), The Brymers, Lindsey Ikeno, and Merrell's son Tim Fankhauser and more! 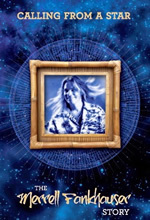 A two disc set of 32 songs covering Merrell's career from 1964 to the present day. Includes some unreleased and some newly recorded songs. A CD and DVD set that includes the excellent Return to MU album (previously released in 2000) plus the documentary of the same name that Merrell made with William E McEuen. The documentary looks at all aspects of Merrell's career. Volumes 1 and 2 contain six episodes from Merrell's cable TV show. Each volume includes an additional CD of songs taken from the show, as well as a few unreleased songs.